I found this delicious Danish receipt in the Hummel label. Gibraltar before a match against Isle of Wight in the 2011 Island Games. 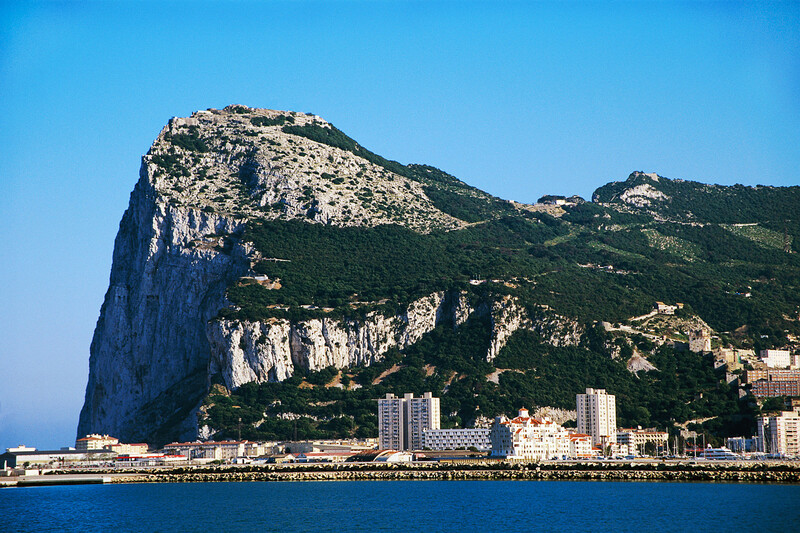 View of the Rock of Gibraltar. -Honours: 1 Island Games (Rhodes 2007). -Read more on Wikipedia and on their official site. I couldn't pass up the opportunity to get this Gibraltar shirt (and the Zanzibar one I ordered), as it's the first non-FIFA shirt in my collection (you can still find it in lovellsoccer.co.uk and in their eBay shop)The shirt reminds me of a rugby shirt, but it's quite average. Apart from that, I really appreciate Hummel's commitment with minor national teams, such as Gibraltar, Zanzibar, Afghanistan or the previous Tibet shirt. This is my first Hummel shirt but I hope it's not the last one. The collection is in a good moment, as I've had a small profit to spend on shirts and that stuff. As I said in Twitter, I will buy the shirt of the ACN Champions and, if I still have enough money, I'll purchase something more special, like a retro shirt or something like that.